Frozen custard first originated on Coney Island, NY as a carnival treat at the turn of the century. 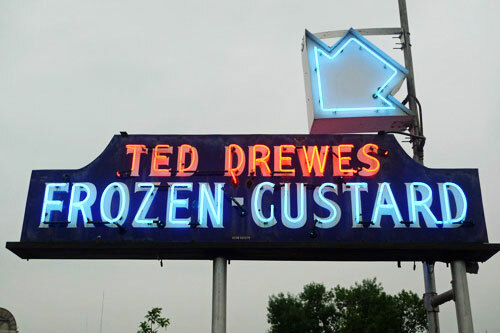 Frozen Custard’s popularity quickly grew and was the rage on the east coast. 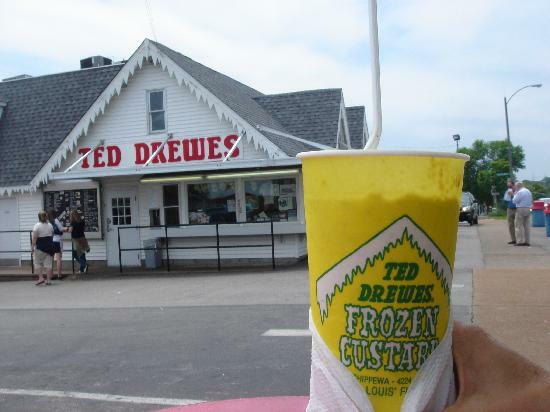 The Ted Drewes shops offer all different flavors made with eggs and honey, and add other flavorings and toppings as ordered. Seasonal ingredients such as cherry and pumpkin pie appear for a short period every year.